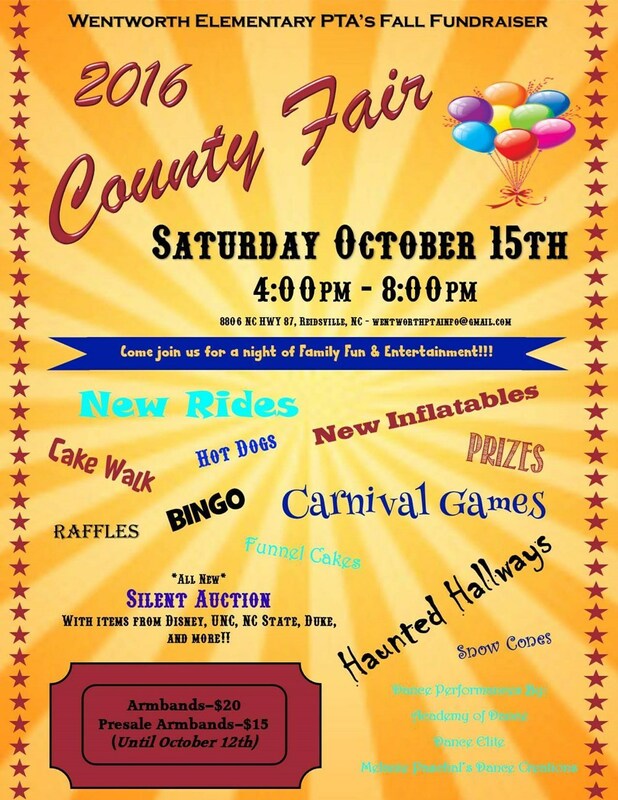 Saturday October 15 at Wentworth Elementary's County Fair from 4-6pm on the playground courts. 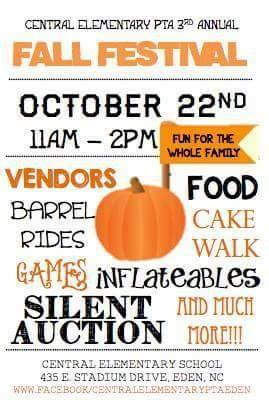 Saturday October 22 at Central Elementary's PTO Fall Festival from 11a - 2pm on Morehead HS courts. Saturday October 29 at New Vision School PTO Fall Festival from 4-6pm outdoors on their Madison campus.